Henge Docks has refreshed its horizontal and vertical docking stations for the new MacBook Pro with USB-C ports, and has also announced an all-new Thunderbolt 3-connected Tethered Dock product line. 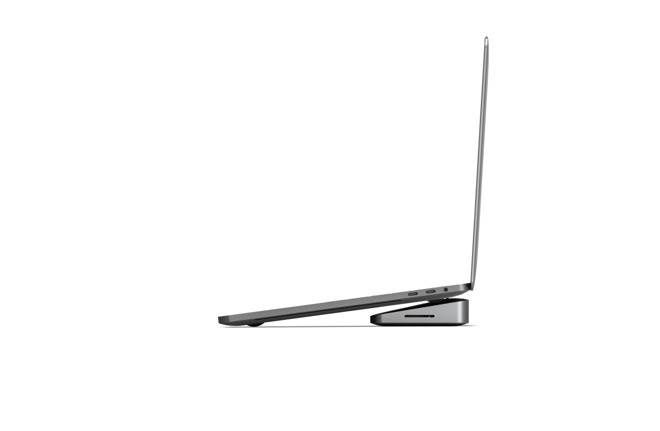 The Henge collection —including the Tethered, Vertical and Horizontal Stations —are all designed to easily connect the MacBook Pro to external devices, such as monitors, keyboards and speakers. 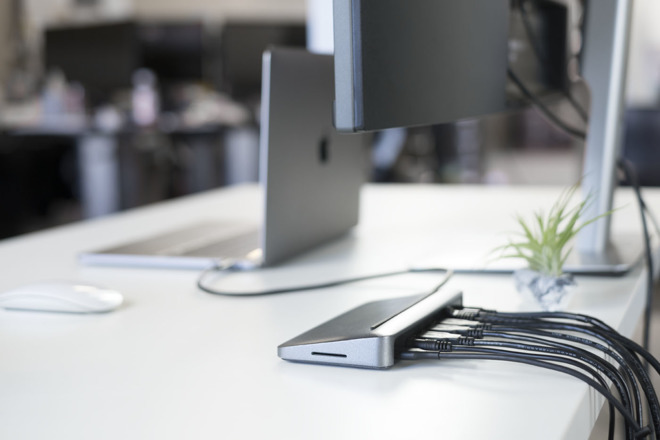 Both the Vertical and Horizontal Docking Stations have pass-through connections for the computer's Thunderbolt 3 ports, and come in a matching space gray shade with metal design. Henge's Horizontal Docking Station also has automated docking capabilities, as well as 13 expansion ports that include support for up to four external displays, power, and the Kensington Lock security system. 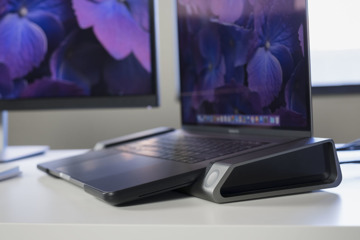 Henge designed the Tethered Docking Station to match the MacBook Pro's design and form, with a space grey, solid metal chassis and an ergonomic, angled design that allows users to rest the laptop directly on the docking station. 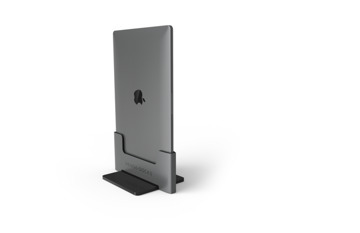 It can pair with the Vertical Docking Station and is available in either USB-C or Thunderbolt 3. It also has an 85-watt power supply and expansion ports that include USB 3 ports, two Mini DisplayPorts, SD card reader, Gigabit Ethernet, audio port and USB-C or Thunderbolt 3. The Tethered Docking stations with USB-C connectivity ship in March starting at $199. The Vertical Henge Dock with USB-C will ship in the Spring for $149, while the Horizontal version starts at $499. Pricing and availability for Thunderbolt 3 models has yet to be announced.